Captain Picard: "WTF is this $#it?" Hello again, true believers. In our last exciting post, we discussed political propaganda and the toll it takes on our democracy (or what's left of it). But are we as a people, finally getting hip to what is going on here? Have you ever surfed the internet and seen the slew of "So-and-So DESTROYS So-and-So" political videos. Video titles like "Senator Such-and-Such CRUSHES Ron Paul", "So-and-So eviscerates Robert Gibbs", "Glenn Beck annihilates (fill in the blank)", or vice versa. For example, one side will post a video "Moe DESTROYS Curly"...then the other side of the aisle will post THE EXACT SAME VIDEO and the title will be "Curly DESTROYS Moe." I mean honestly, do they think we're that stupid? We are gonna just sit there and say, "Oh ok. Senator Larry Fine destroyed Congressman Moe Howard in a debate. That takes care of that!" 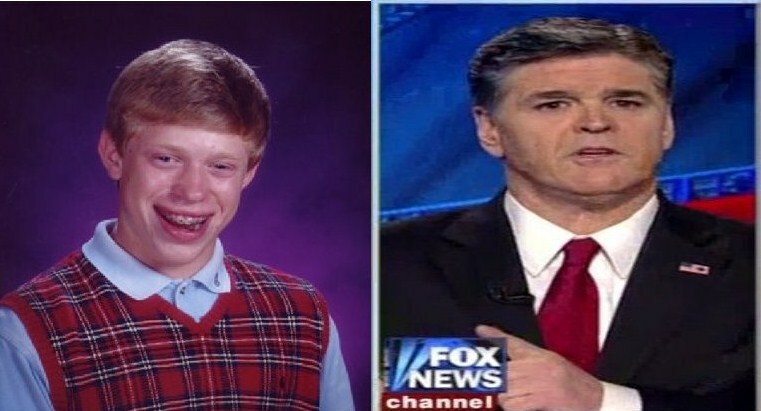 Bad Luck Brian DESTROYS Sean Hannity!!!!! 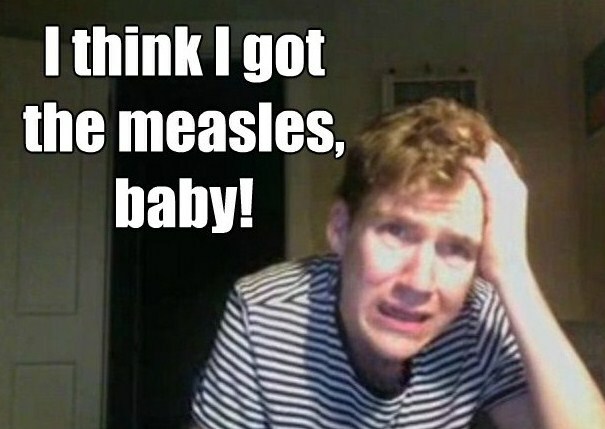 Bad Luck Brian: "EXPELLED FROM COLLEGE FOR PLAGIARISM"
Dax Flame: "I think I got the measles, baby!" SEE: My Improvisational Acting Moments - YouTube As you know, I have been very excited about the return of Dax Flame to youtube, and what this might mean for our future. This will be the first in a series of new Dax Flame memes...so stay tuned. And as we so often do, today we play ourselves out with a song... Here is "When I'm With You" by Best Coast. And when when people argue about who won the debate, someone always says "your guy got owned". What does that mean? Is losing a debate like being sold into slavery? Kunta Kinte had worse things to worry about than losing a debate. I find such terminology disturbing. Great stuff...neat song/video by Best Coast. You sooo got this entry. Donald Duck the Nazi? What's next? Spong Bob Squarepants the Al Queda terrorist? Haha the last video is just hillarious! I hope more people are seeing through the crap political things, but I fear the stupid still out number the smart. 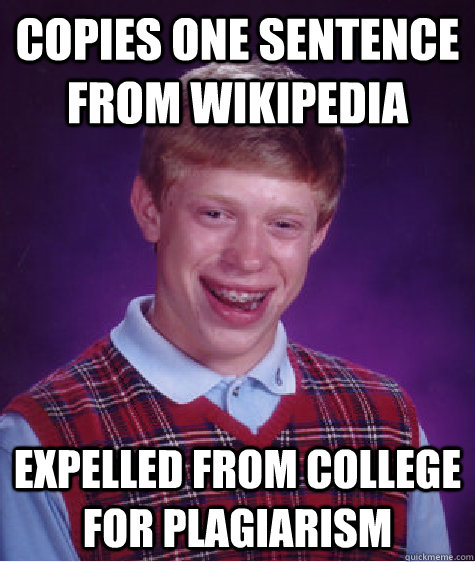 Bad luck Brian wins? Right on! (plagairism is BS, its all been said before in all the ways it can be said, everything is from somewhere else, either intentional on unintentional) Sadly lots of people are tricked by simple videos on the internet. They will see throught it, Bersercules. Thanks to people like you who speak the truth. I want to see somewhere where God Eviscerates Jesus. I don't know why, but I want to see how good ol' "Old Testament" God would have treated his son after he learned he was hangin' with the hos. Loved the Best Coast jam. I wish for more CGMoretz, though. American politics has always baffled me. There's so much more drama then in British politics. I couldn't finish watching that best coast vid as the Ronald McDonald freaks me the prick out!